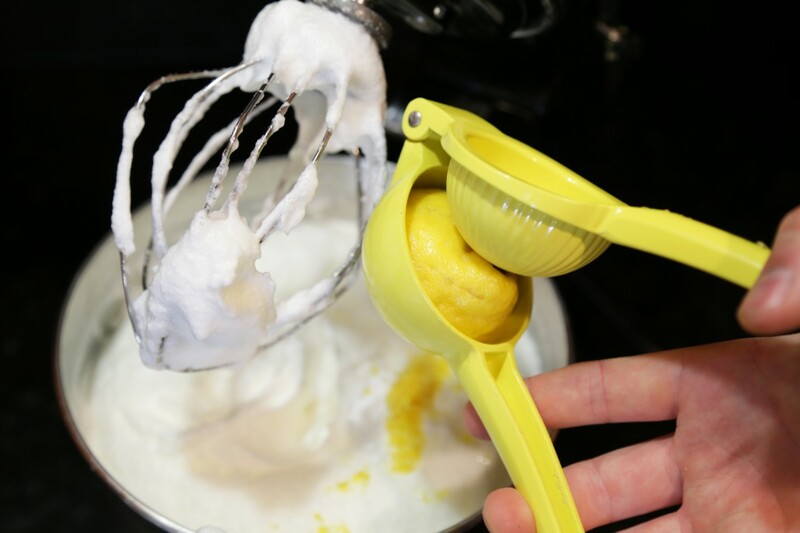 Whip egg whites in a standing mixer with the whisk attachment until stiff peaks are formed. One they are formed, add in the cream of tartar, lemon zest and lemon juice, and mix in. Next, add the egg whites to a large bowl and gently fold together with sifted flour and sugar until just combined. Pour the mixture into an 8×3 inch ungreased cake pan and bake in the oven on 300° for 1 hour. Once it is finished cooking, remove from the oven and invert the cake onto a cooling rack and cool completely. After it is done cooling slice it into thirds width wise. 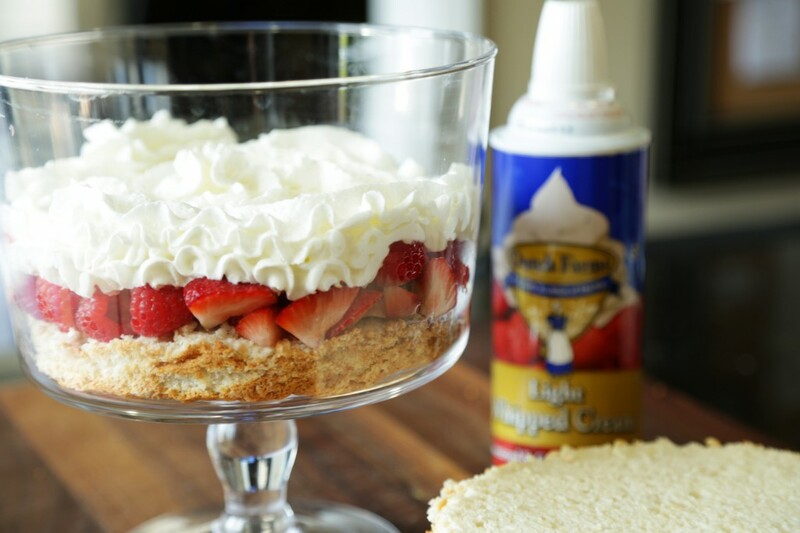 Place the first slice in the bottom of a glass trifle-serving dish followed up with 1/3 of the strawberries and raspberries, and top off with 1 inch of whipped cream. 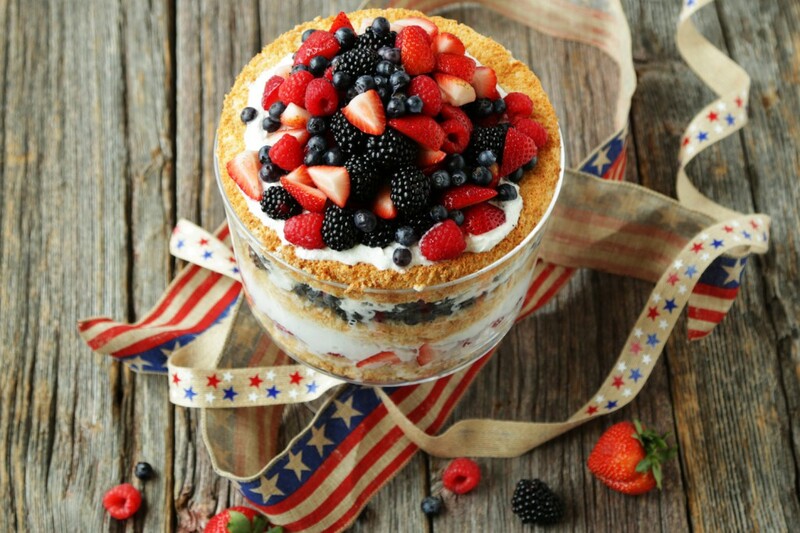 Next, add the second angel food cake slice on top of the whipped cream followed up with 1/3 of the blueberries and black berries and again top off with 1 inch of whipped cream. 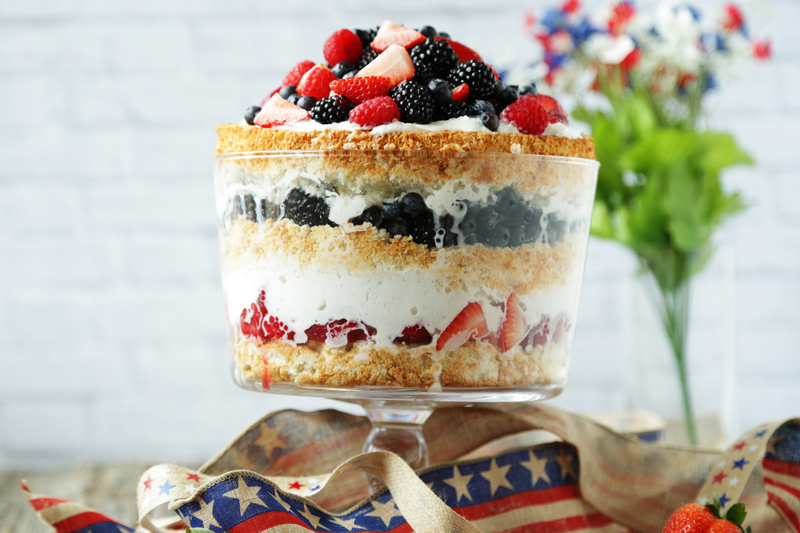 Finish by adding on the last slice of angel food cake followed up with a thin layer of whipped cream and the remaining berries. 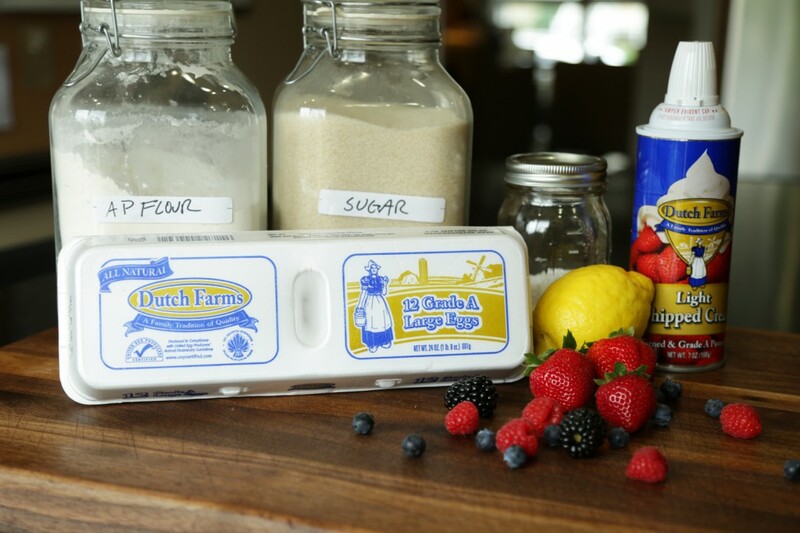 Cool completely and serve with additional Dutch Farms light whipped cream.